The RE/MAX 2015 Spotlight on Luxury is out! Luxury real estate is rising across Canada along with the rest of the market. Homes priced over $1 million were up in Vancouver, Victoria, Toronto, and Montreal; whereas Calgary saw a decrease by 28% in sales from the same seven month period in 2014. The high demand for luxury homes from foreign buyers and overall price appreciation—driven by low inventory and high demand for single-family homes--factor into this affluent market. Most of Vancouver’s foreign buyers in the luxury market are families with children who have chosen Canada for its stable economy and high quality of life. Their real estate decisions are based on investment opportunities and proximity to good schools. Favouring new builds with top-quality finishes, they are huge contributors to the market’s impressive gains: 572 properties over $3 million sold between January 1st and July 31st, a 79% gain over 2014. The luxury condominium market tends to revolve around Baby Boomers who are downsizing in retirement. They tend to be travelers who spend part of their time in a second home, and these $1 million+ condos are chosen for their luxury amenities without the maintenance of a house. A growing trend in the luxury real estate market is buyers who bypass the MLS system all together and make offers directly to homeowners through their agents. Unlike “For Sale By Owner” sales, the sellers in these transactions are trusting experience agents to get them top dollar. 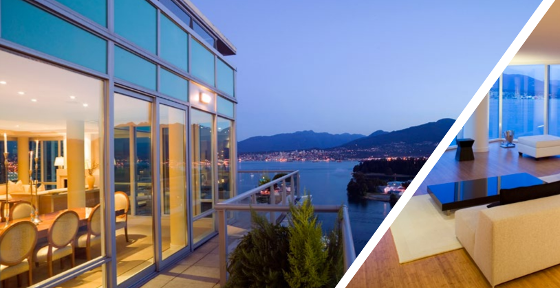 This reflection of the first seven months in Vancouver’s luxury market is expected to continue through the end of the year for a very profitable—and luxurious—2015.